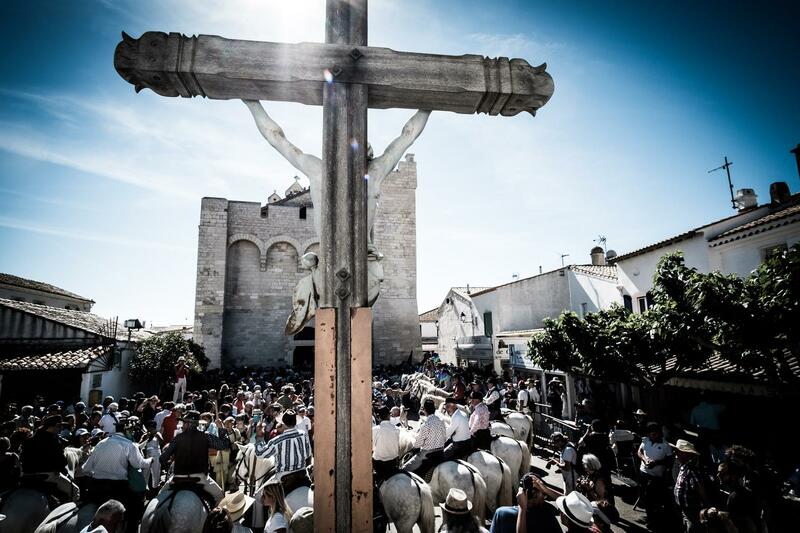 The church’s square of Saintes Maries de la mer, full of faithful and with the camargues guardian on saddle of their white horses, is ready to welcome the exit from the church of the statues of Santa Maria Jacobe and Santa Maria Salomè. 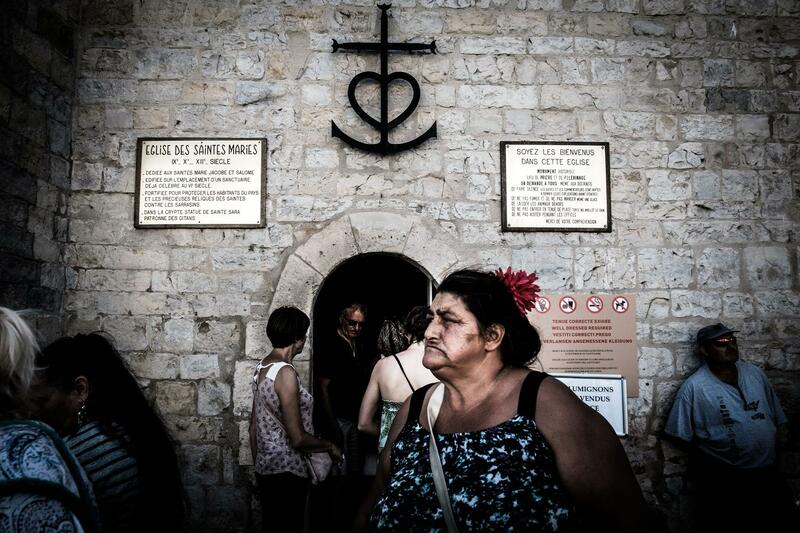 On May 24, every year, the tranquility of the Provencal town of Saintes Maries de la Mer is interrupted for two days by the musical notes of the pilgrimage of the Gypsies who come from various parts of Europe to attend the annual celebration in honor of Sarah, protector of the gypsies, and of the two Marie, Mary Jacobe and Mary Salomè, who came to this land from the sea after being expelled from Palestine. 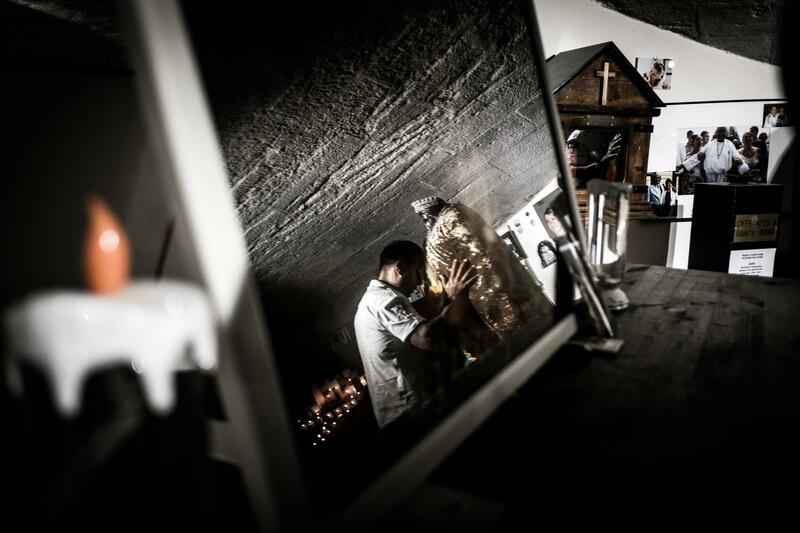 While in the streets gypsies celebrate the day with traditional rhythms, in the crypt, Sarah's statue receives the tribute of the faithful. 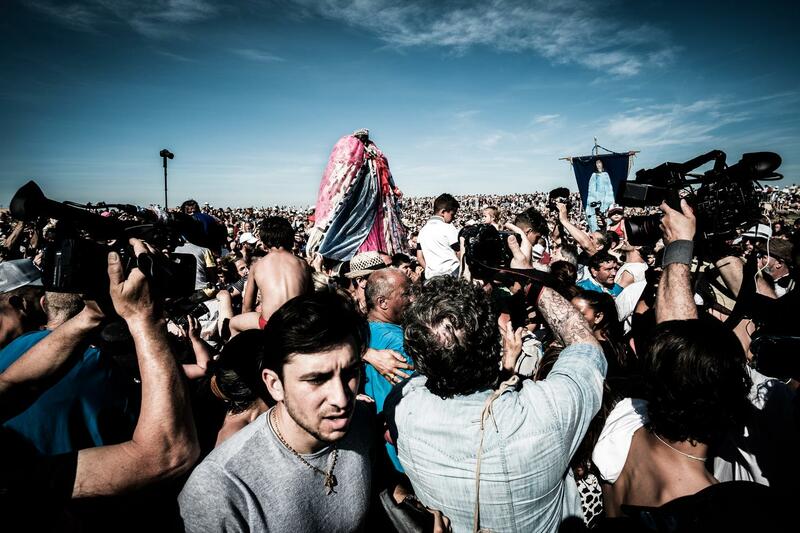 In the afternoon, between crowd's wings, escorted by the camargues guardians riding their white horses, Sarah's statue, dressed in silk cloaks and clothing, is taken from the Church till into the sea to symbolize the welcome of the patron of the gypsies when Maria Jacobe and Maria Salome arrived in this land. The following day is the turn of the procession of the two Marie, brought to the sea for the blessing of the waters. The cross of the Camargue affords the Church of Notre Dame de la Mer. The cross of the Camargue, also called 'croix gardiane' (cross "guardian") by the name of the guardians, workers of the bulls bulls and horses of the region. It has two arms and the top is decorated with a crescent moon, which is the instrument (hoisted on a long pike) with which the guardians stimulate bred animals.The Cross of the Camargue brings together the symbols of the three theological virtues, Faith (represented by the Latin cross), Hope (represented by the anchor) and Charity, represented by the heart. 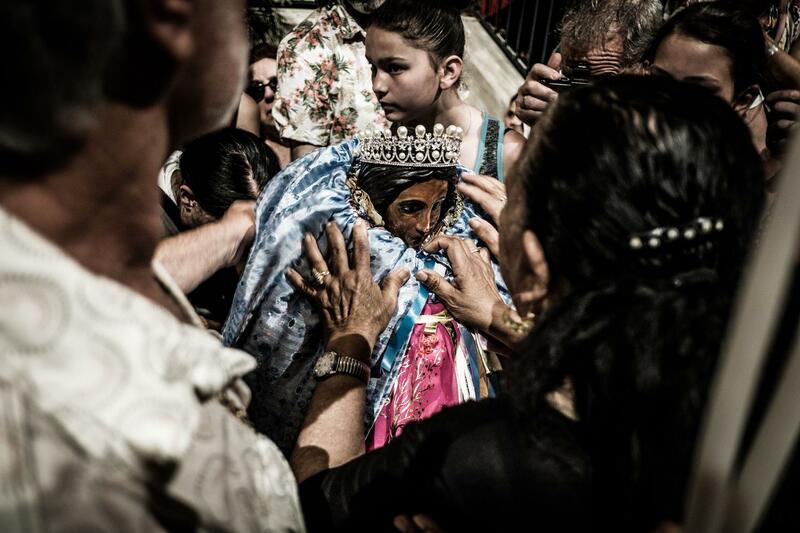 Within the Church, the faithful, pay tribute to the statue of Sarah, patron of the gypsies. 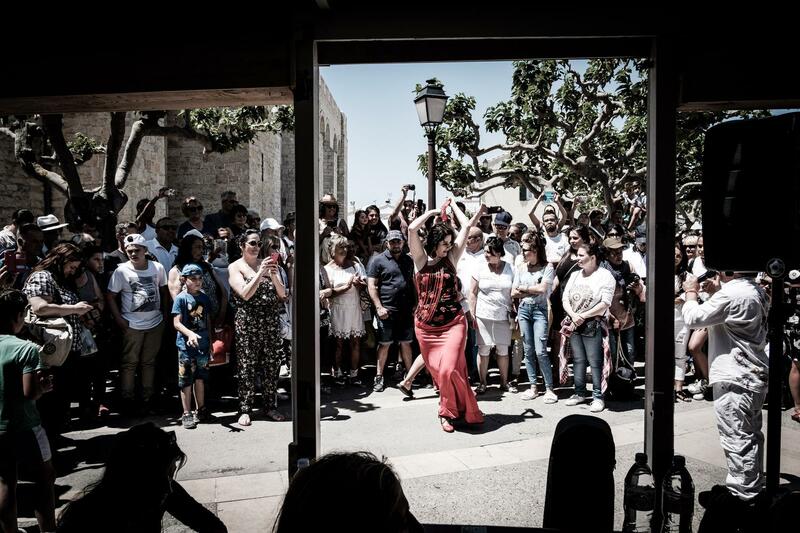 A gypsy girl dances traditional music in the street applauded by the many gypsies present in the city during pilgrimage days and by many curious tourists. At every corner of the Provencal town is possible to see dancing or playing gypsies from various parts of Europe. 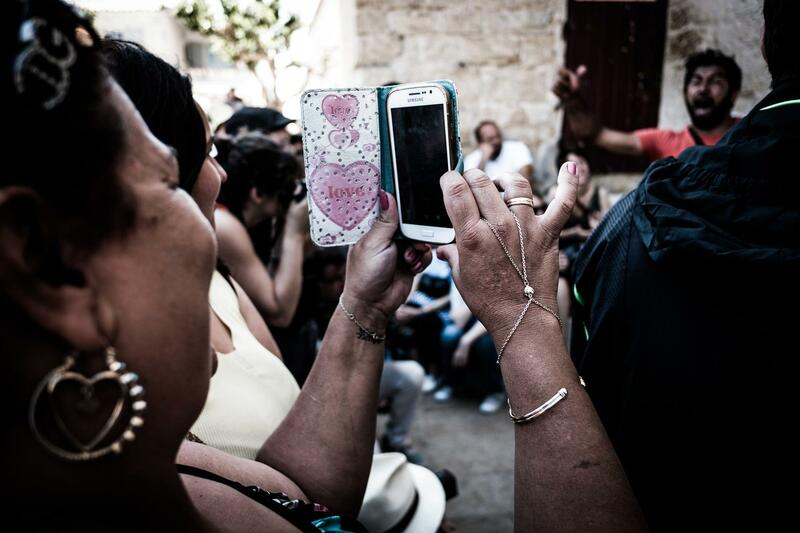 A gypsy woman photographs an artist performing on the streets of the town. Sara's statue, before leaving the Church on the way to the sea, is dressed in cloaks and silk dresses brought for the occasion by the Gypsies. A man shows his tattoo depicting the Madonna. 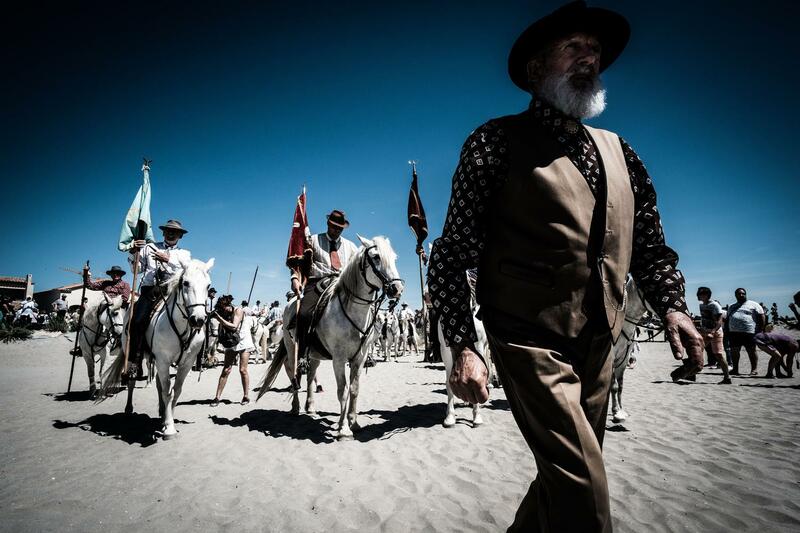 An elderly man precedes the camargues guardians on the beach during the procession leading to the sea the statutes of Santa Maria Jacobe and Santa Maria Salomè. 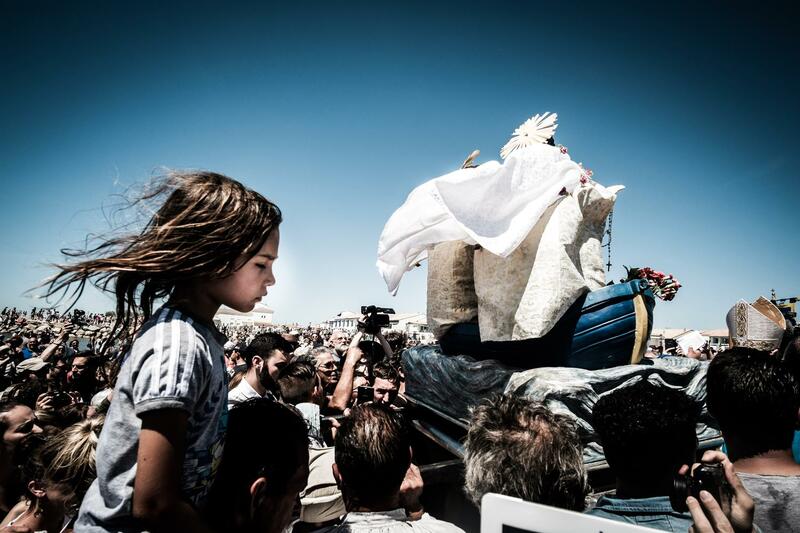 Accompanied by a large crowd, Sarah's statue reaches the sea. 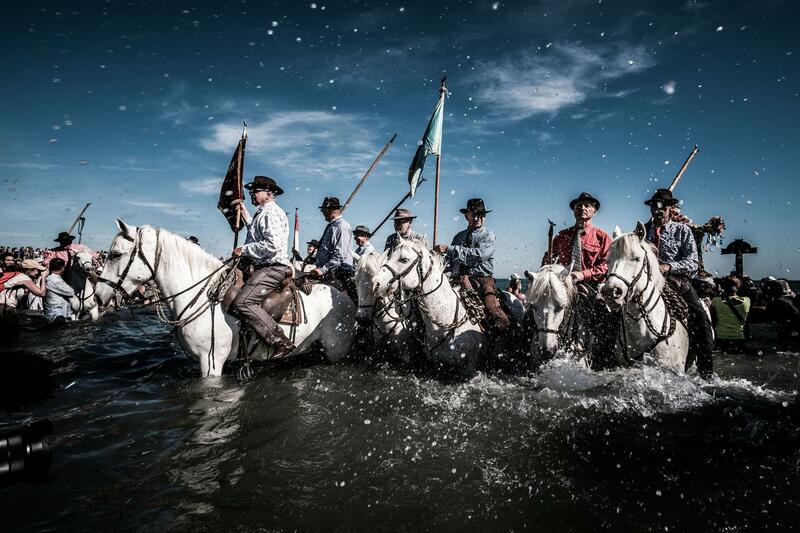 The camargues guardians riding their white horses protect Sarah's statue and the gypsies during the blessing of the waters. 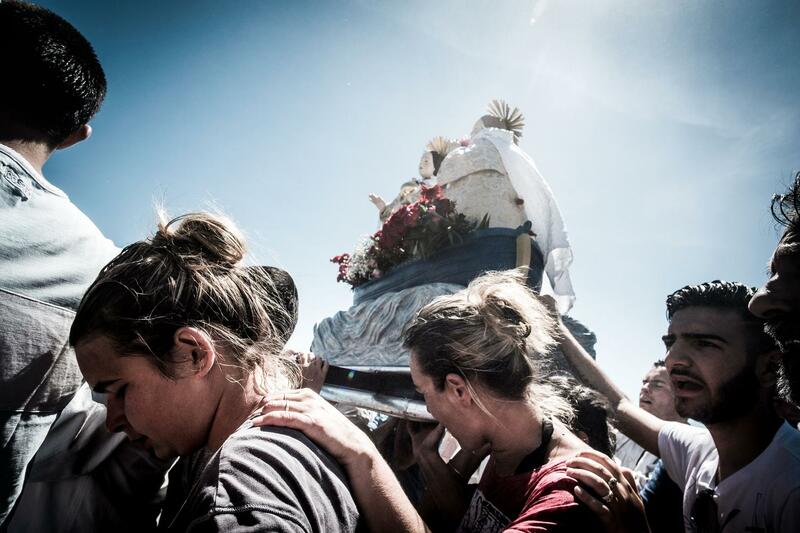 Carried on shoulders, a child, follows the statues of the saints Marie Jacobe and Salome during the procession. The gypsies cordon that accompanies the statues of the saints Marie Jacobe and Salomè during the procession. The faithful who accompany the statues, put a hand on the shoulder of those who precede them, and hold the other hand on the statue of the Marie.